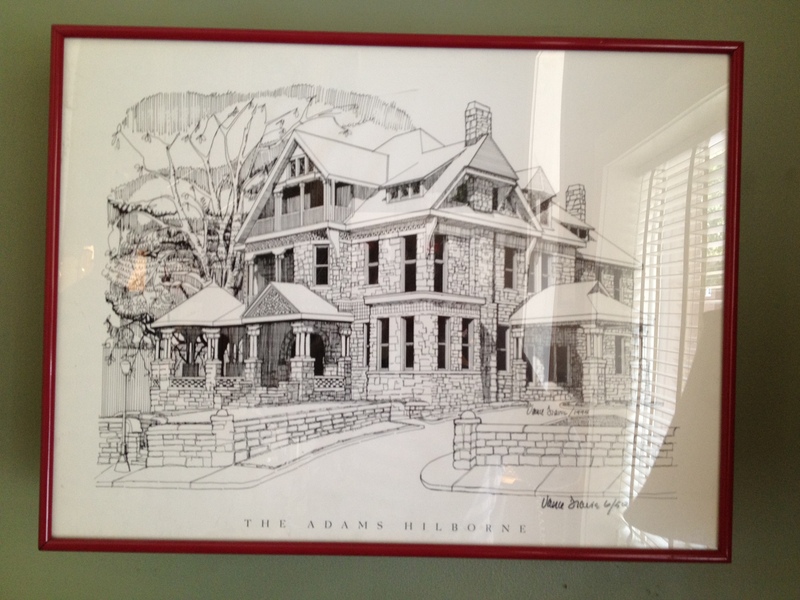 Even Better Than I Remembered: Chattanooga’s Mayor’s Mansion Inn | Oh, the Places We See . . .
Years ago, my husband and I dabbled in antiques, and I wrote a column for the Busy Bee Trader featuring shops, restaurants, B&Bs — just about anything that the Busy Bee readers would want to visit in their publication area. 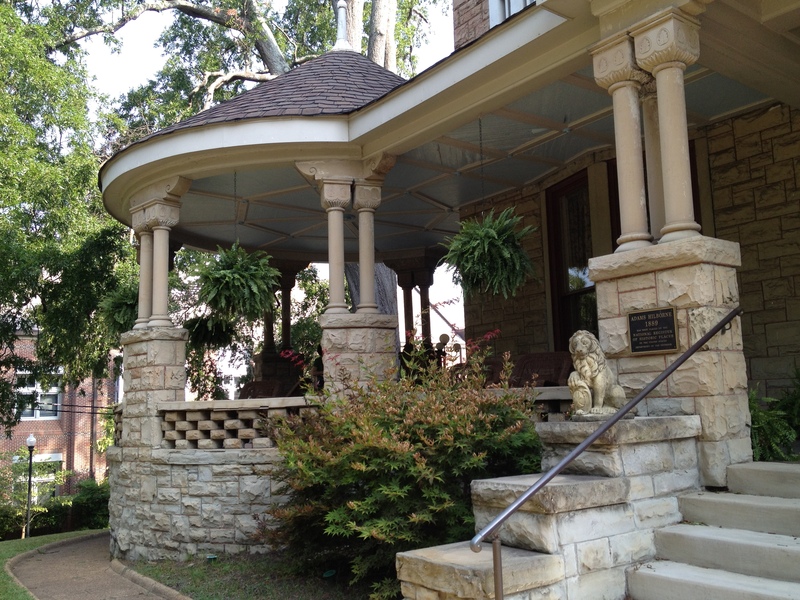 And that’s how I came upon a lovely Victorian Romanesque home-turned-inn at the cornerstone of the Fort Wood Historic District in Chattanooga. 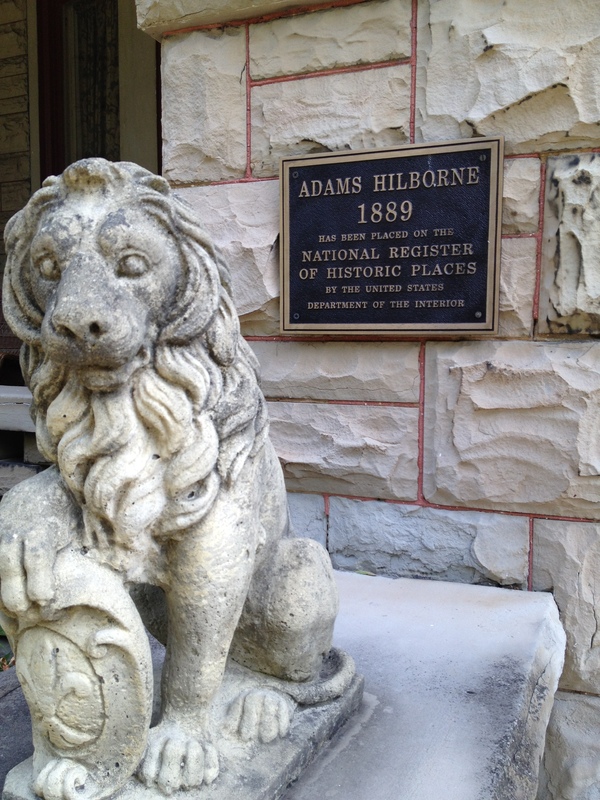 It was then known as the Adams Hilborne Mansion Inn, and, fortunately, this stately, beautifully preserved home remains an elegant accommodation for travelers and guests. Now, however, it’s known as the Mayor’s Mansion Inn. 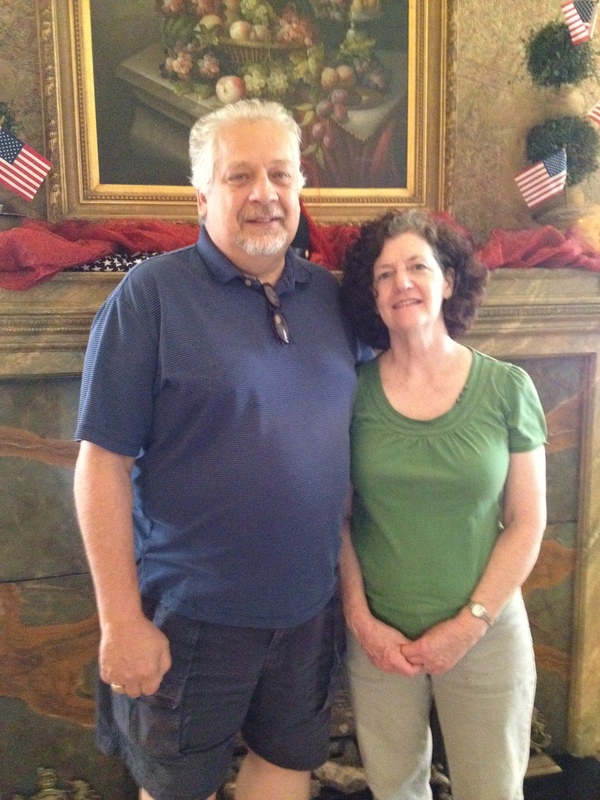 The current owners, Mark and Cindi Ladd , shared a bit of history with us when we stayed there recently. 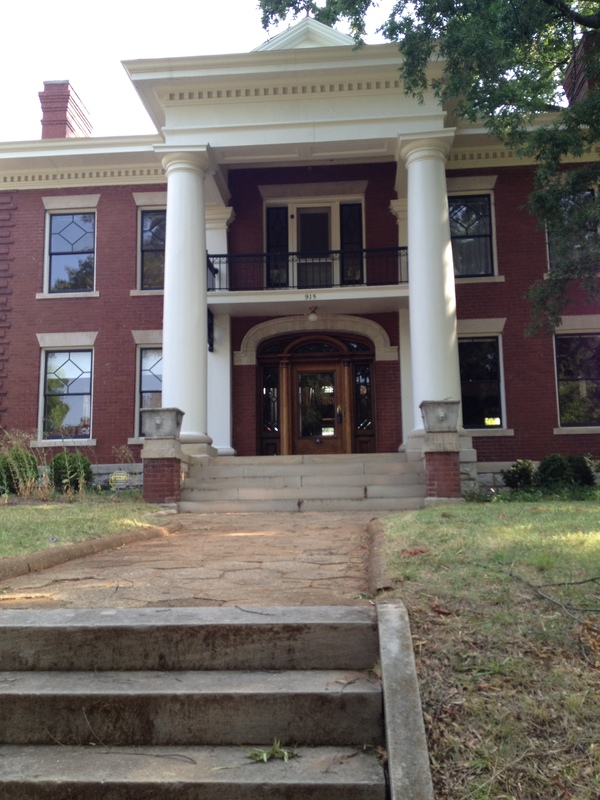 Edmond G. Watkins in 1889 completed this home using some of the finest construction techniques and even some of the stones from the Union Army redoubt during the Civil War in Chattanooga. Watkins, president of the Lookout Mountain Land Company and the Chattanooga and Mountain Railway Company, was elected mayor; thus, his home became the Mayor’s Mansion. This 14,000-square-foot property was renovated in 1995 and opened as a B&B in 1996. McLadd Hospitality purchased the inn in 2008 and established a standard for elegant accommodations that has earned them a place in the Select Registry. As I mentioned earlier, about 10 years ago — in preparation for writing an article about it — I toured the inn, marveling at the 11 guest rooms with private baths, the tasteful updates bringing the mansion into the 20th century, and the details that had been preserved by people who obviously cared for exacting period renovation. Fortunately, the elegant setting that I observed this time has not only endured — it may have improved. I like the furnishings even better this second time around. They seem (how shall I put it?) even more comfortable, yet fitting for the time period. Relaxing in the spacious rooms is not only possible — it’s encouraged! 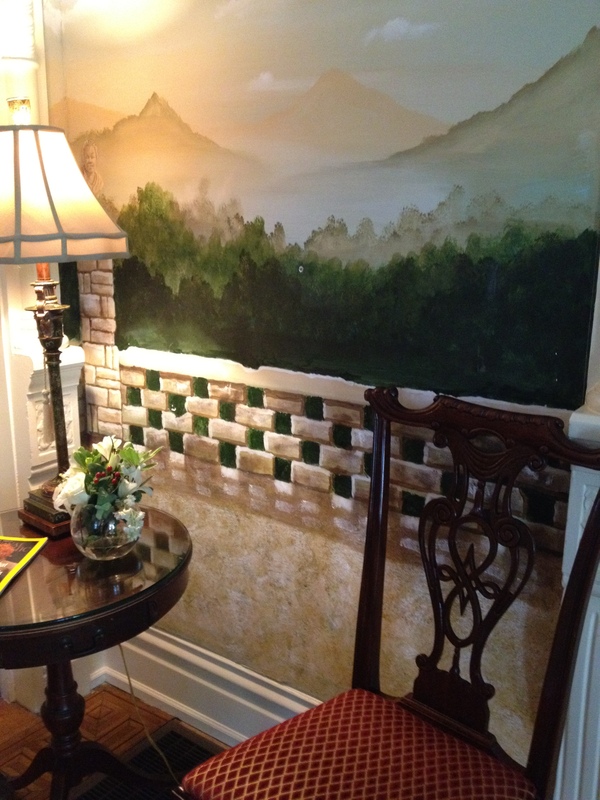 As you can see in the picture below, hand-painted walls (Soooo much better than plain ol’ wallpaper!) form an interesting — and lovely — backdrop. 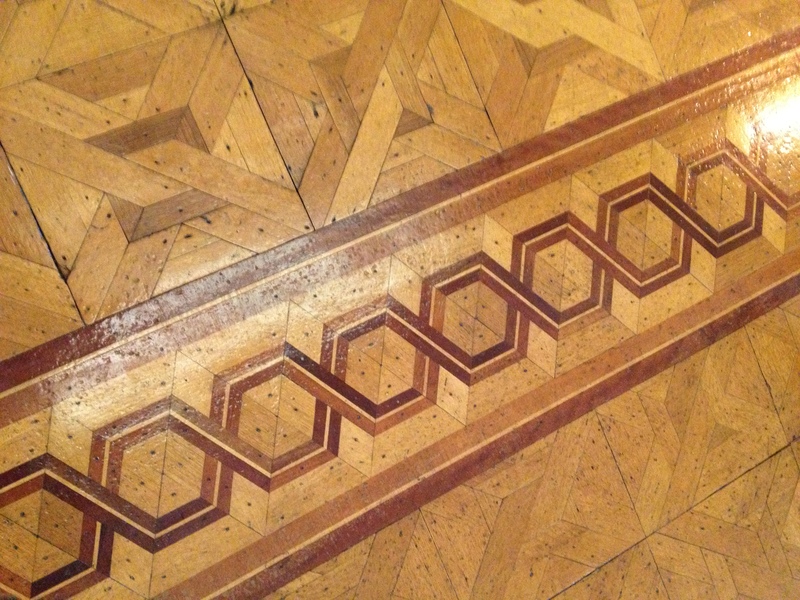 Details such as the coffered ceilings and intricate parquet floors are a testament to the craftmanship and creativity that are often missing in many of America’s “updated” B&Bs. Bedrooms were a bit formal — yet easy to enjoy with sink-into beds (We love down comforters!) and modern baths. Although we choose to stay in B&Bs periodically for a taste of the past, we have another reason to select old homes-turned-hotels: It’s the people. 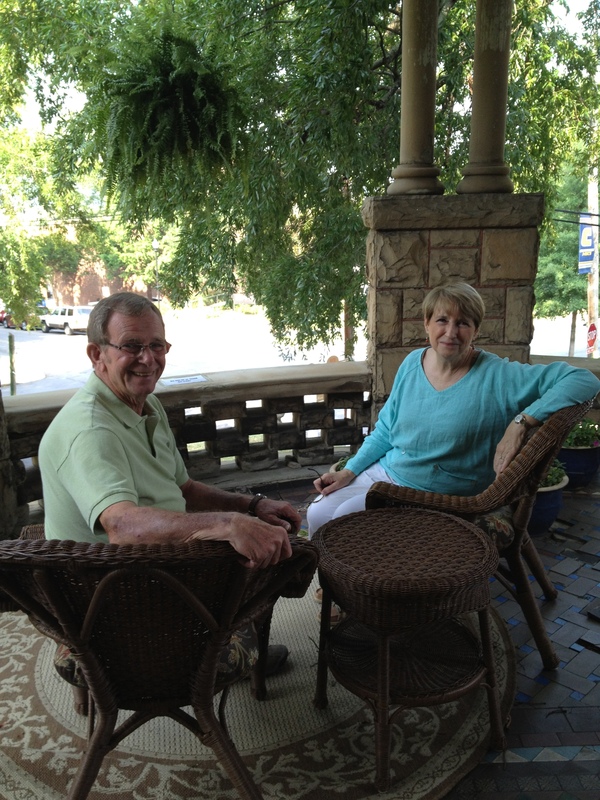 For example, on this stay, we met David and Margaret, former owners of a macadamia farm in Africa, but now residents in Ringgold, Georgia. They, too, loved the inn and the elegant breakfast. 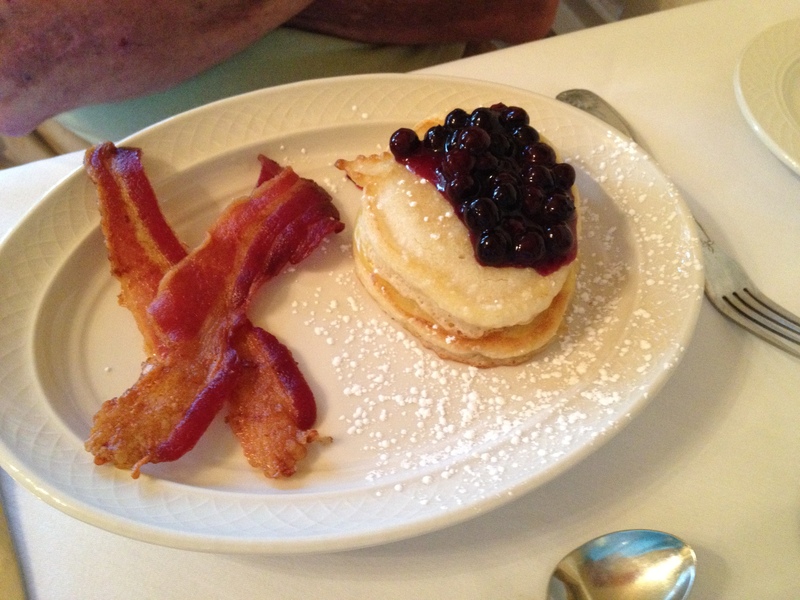 Speaking of breakfast, the Mayor’s Mansion Inn serves it each morning in three courses — and they do it up right! 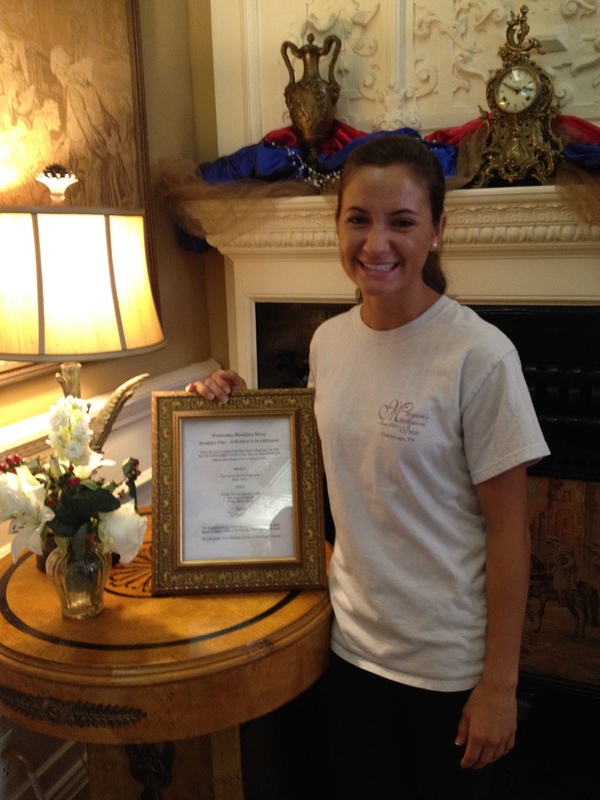 Katie, our server, led us into the Tiffany Dining Room where stemmed crystal held a fruit medley. Pretty china and silver set the tone for elegant entrees yet to come. Main course — beautifully presented! After a restful night’s sleep and a breakfast the likes of which we definitely don’t have at home, we felt the need to walk the neighborhood sidewalks and get a glimpse of other Fort Wood homes. 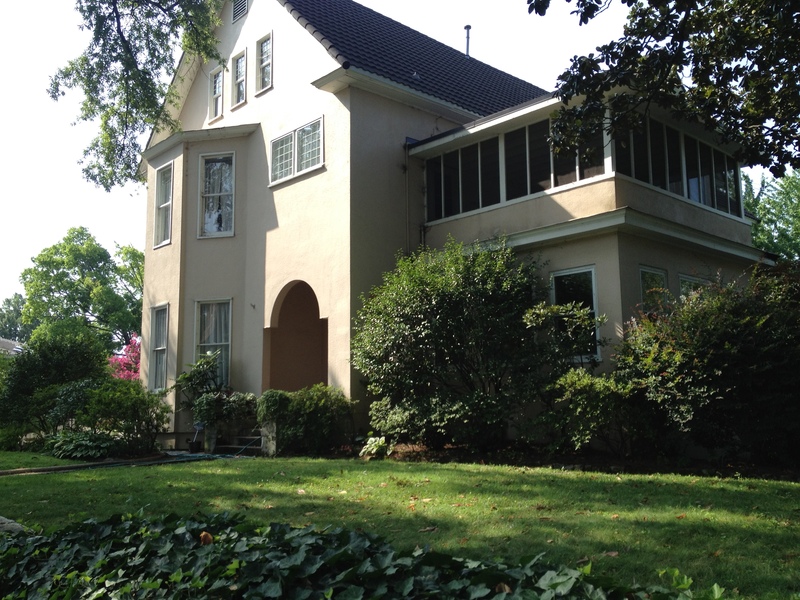 Lined with centuries-old trees, Vine Street shows off some of Chattanooga’s grand ol’ dames — homes that have been well-loved by their owners, sometimes several of them. Here are just three of the houses for you to enjoy — and you don’t even have to walk to see them! I guess you’re smiling by now, because you can imagine what came next for us — and maybe what befalls everyone who comes to the Mayor’s Mansion Inn: a leisurely time on the porch where we just “sat a spell” and got a feel for how the residents in 1899 might have enjoyed the morning air after a sightseeing walk! It’s enough to make us want to come back just so we can do this again at twilight! 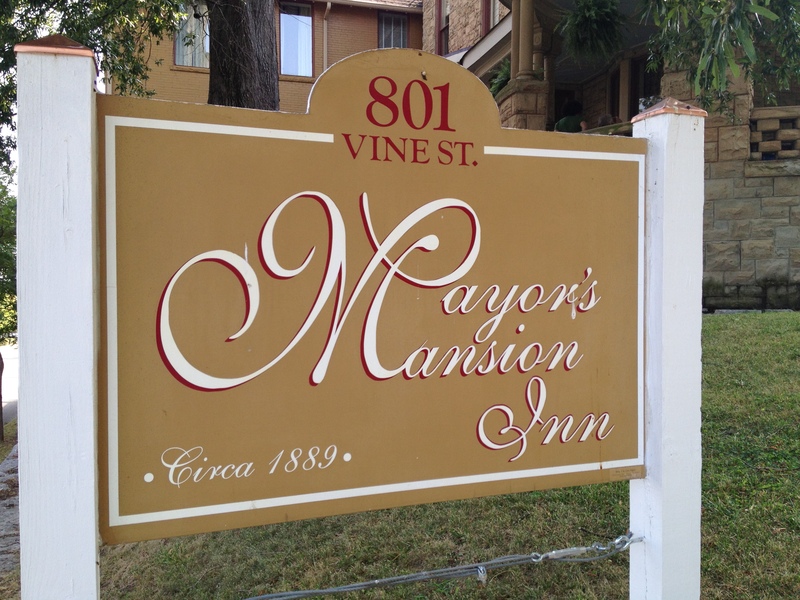 The Mayor’s Mansion Inn hosts weddings, receptions, even business meetings. A large room in the back can seat 64 people, and all food, table settings, etc., can be arranged with their staff. 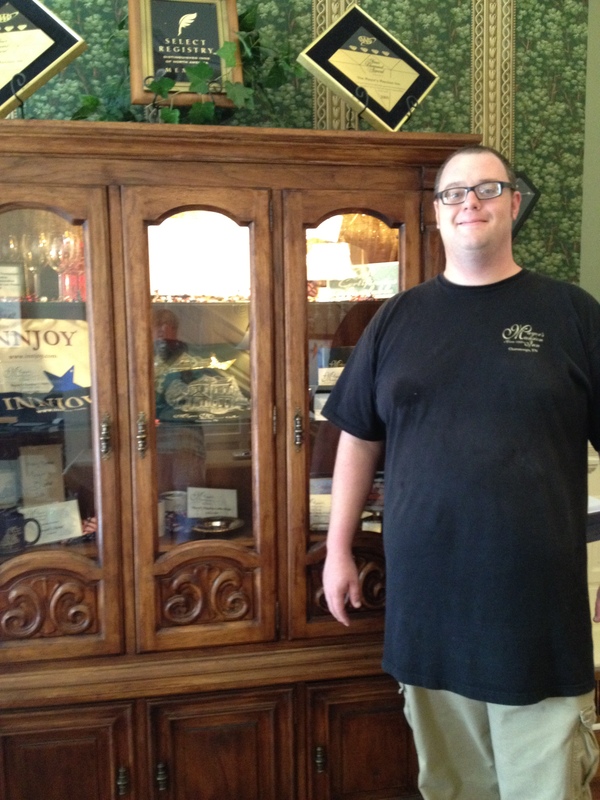 On our way out, we met Josh who said he does a little of everything around the mansion from arranging this display to helping with all manner of events and special occasions! 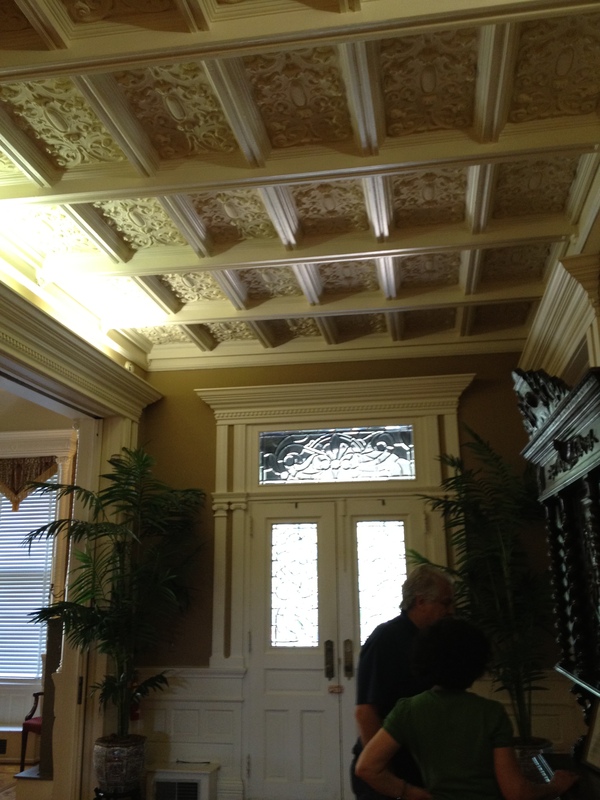 If you’re planning a trip to Chattanooga and you like staying in B&Bs, consider the Mayor’s Mansion Inn. We enjoyed our overnight in this historic property — modern comforts, beautifully prepared food, and friendly servers and guests. Perhaps this t-shirt has the right idea! Blueberry Compote: In small saucepan, blend 1 teaspoon cornstarch, 2 tablespoons sugar, and 1/4 cup water. Cook over medium heat until clear and slightly thickened, stirring constantly. Add blueberries and heat until warmed. Lemon Riccota Pancakes: Make pancakes according to mix directions and add 2 tablespoons ricotta cheese. Batter will be slightly thicker than normal. Pre-make three round mini pancakes per person and rest on baking sheet in warmed oven. When ready to serve, place a thin layer of lemon pudding between pancakes, top with blueberry compote, and garnish with decorative butter pat and lemon thyme leaf. Dust with powdered sugar. Serve warm maple syrup on the side. 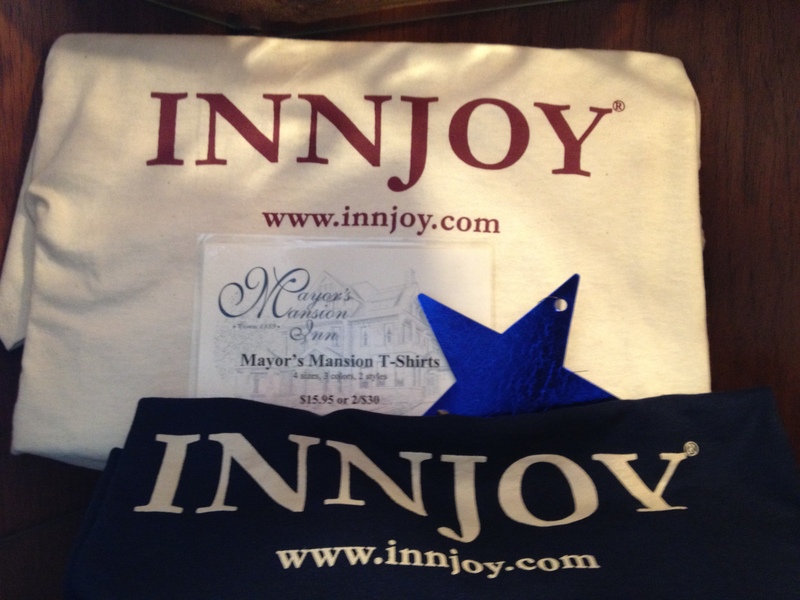 Would love to hear from any of you if you’ve stayed at the Mayor’s Mansion Inn! Leave me a comment! Click here to read about another Select Registry Bed and Breakfast Inn, the Black Walnut Inn in Asheville, North Carolina. 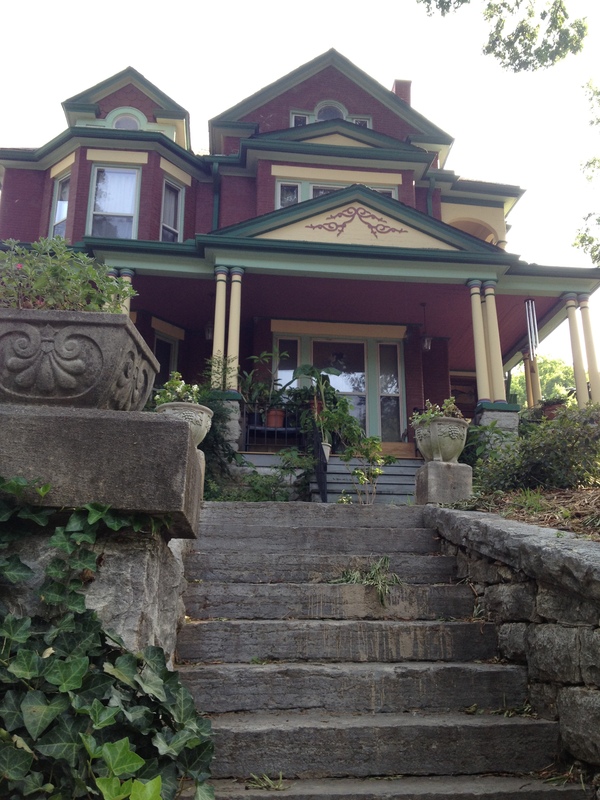 This entry was posted in Bed & Breakfast Inns, Food, South Carolina, Stay the Night and tagged Asheville, Bed & Breakfast Inns, blueberries, Breakfast, Chattanooga, historic preservation, recipe, Select Registry, travel. Bookmark the permalink. thanks for reading! It was beautiful and well-preserved!